Well it's not the first phone to get FroYo, or even the first phone with HTC's Sense UI to receive the delicious update, but Froyo is coming to UK carrier O2's HTC Desire. The update hit the air - before being pulled almost immediately! 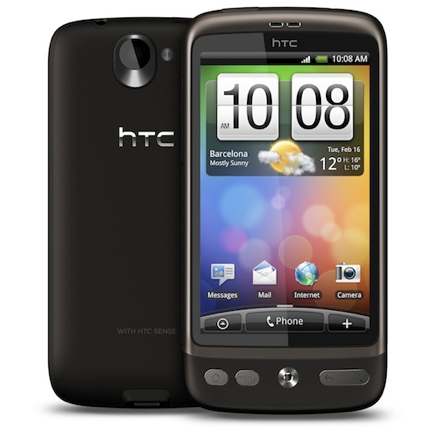 As some of you will have noticed the Android 2.2 Froyo update for HTC Desire on O2 went live this morning. While we’re pleased that so many of you have been able to download it successfully and are enjoying the benefits of 2.2, we have seen that a small number of people are having problems installing the update. While we check out these issues we’re putting the 2.2 update on hold. We’ll update you as soon as possible and would like to thank our HTC Desire customers for their patience. PS. Crossposted to two threads as both seem to be active! What exactly are those problems that a "small number" of users are experiencing? Sense gets stuck in a crash loop, browsers are freezing, and devices can't get past the O2 boot screen. At any rate, if you're desperate to load up some frozen goodness on your device, you can always grab the update.zip file from a server near you - if you can find one.